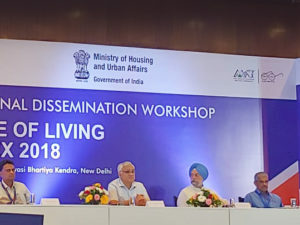 On the 9th-10th November 2018, the Madras Chamber of Commerce and Industry (MCCI) along with National Institute of Urban Affairs (NIUA) held an Urban Thinker’s Campus under the UN Habitat’s World Urban Campaign. 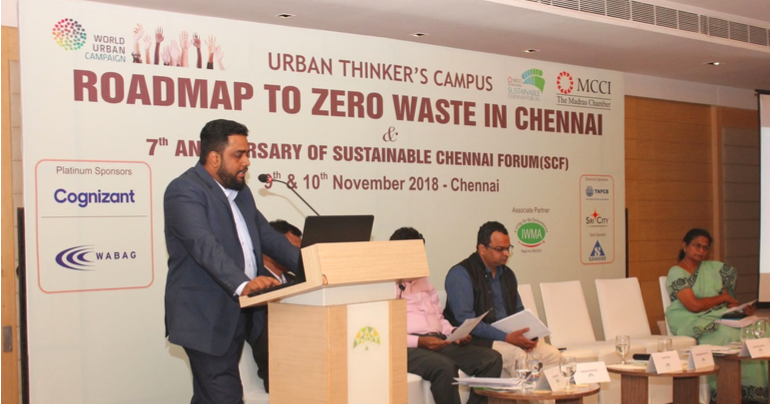 Themed “Roadmap to Zero Waste in Chennai”, Athena’s Senior Consultant Kowshik Ganesh, was one of the key panel speakers on the topic, “Creating Liveable and Clean Cities”. 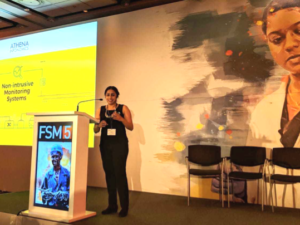 The presentation focused on the way in which researchers often present a single solution to a city’s Solid Waste Management (SWM) problems. Typical solutions often include: increase the number of bins across the city, promotion of free markets in SWM, and encouraging composting in every house. But these solutions underestimate the nature and scale of the problem. 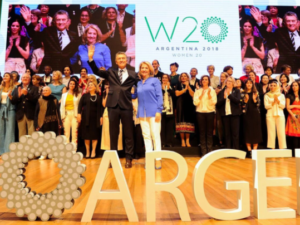 The session sought to answer the question, “what does it take for cities to become liveable and cleaner?” It emphasized that cities should take a step back and look at the current issue in hand comprehensively. 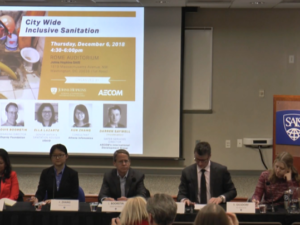 It is important for cities to develop a suitable operating models in order to address SWM needs. Demonstrating its efforts to overcome these challenges, Athena presented its experience in helping cities with various operating models, such as: bin based operating models, a SWM cluster based operating model (segregation vs. non-segregation), and door-to-door waste collection and ward-wise waste segregation models). The talk then concluded with a summary of Athena’s key takeaways from these three models.